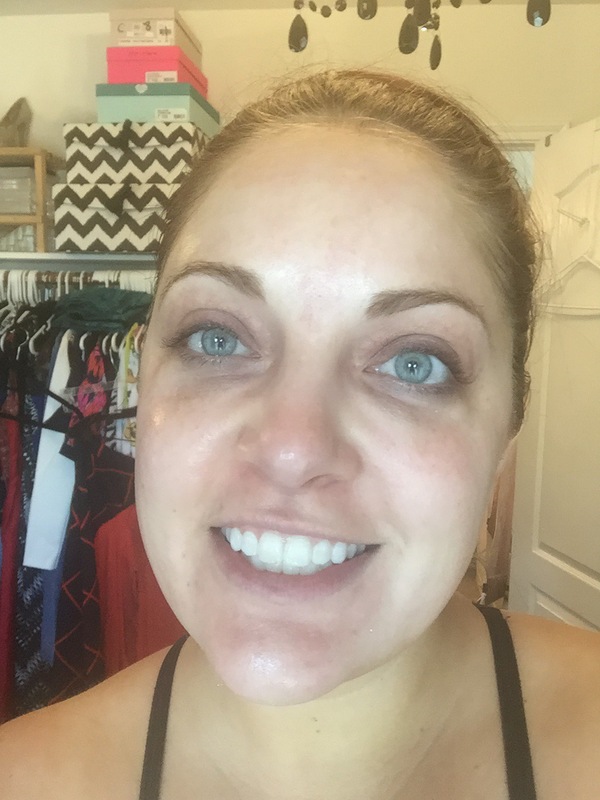 I want to talk about one of my favorite beauty tricks that while I don’t mind disclosing I don’t really talk about it often and I don’t think many others either know about it or talk about it. It is my favorite trick for getting that super smooth foundation finish. Most people don’t want to talk about those baby hairs we have all over our face. Some have more/ longer/ thicker than others but we all have them. I’ve only had one makeup educator bring up facial hair removal and I think more people need to be open about it. I remove ALL the hair from my face, except eyelashes and eyebrows. 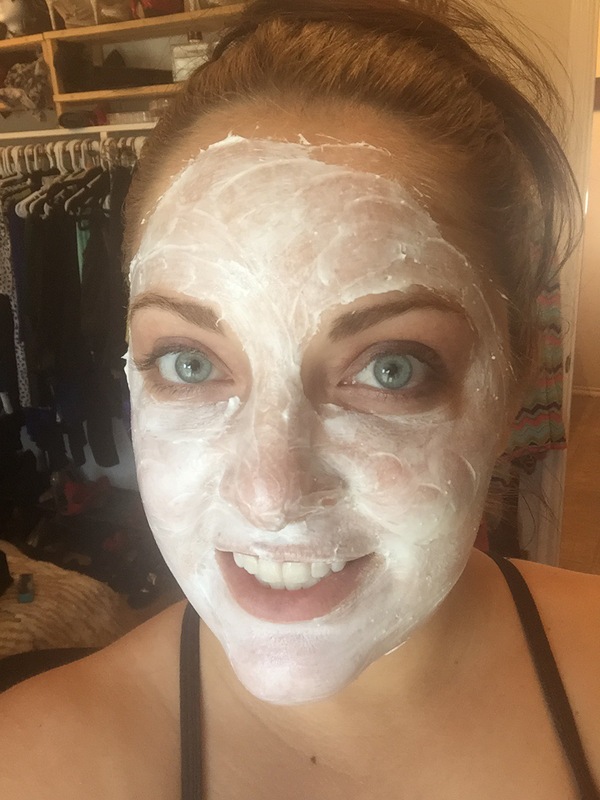 I picked this habit up from a childhood friend that is a cosmetologist and when we meet up years after high school she told me that she gets her entire face waxed. I did the same thing you are probably doing right now. I was stunned and made her repeat it a couple times, yes the whole face. So she planted the seed in my head and I just couldn’t get it out, so I scheduled my appointment and had my entire face waxed. I got so many compliments the next day at work about how great my makeup looked, that I looked like a photoshopped ad because all those baby hairs where no longer in my foundation! I was hooked! Shortly after that I got a prescription for Retin-A and one of the no-no’s for Retin-A is getting waxed so I had to find a new solution for those pesky blonde baby hairs all over my face. First I tried treading but that really hurt and when it was over I still had lots of the short baby hairs left and I was not satisfied. So then I switched to depilatory creams. 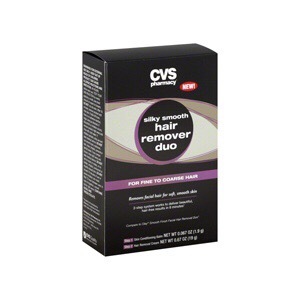 First I used the Olay one and then I found out I preferred the CVS brand version, it’s less irritating to my skin. It is about $23 a box, I get at least two full uses out of each box, and I can usually find them buy one get one half off which cuts down on cost as well. This is how it goes; of course follow the instructions on the box. You apply the protective balm stick all over your face and rub it in. Then I put a fairly thick layer of cream all over avoiding the eyebrows and areas where my lashes can reach. Make sure to do weird spots like the end of your nose, and run it slightly under your chin and jaw line. The first time I didn’t run it under the jaw and with all the baby hairs gone on the face the hairs under my jaw line looked a little too beard like. I leave mine on for 15 minutes even though the box says 10. This is how my skin looks immediately after removing the cream with a wet washcloth so you can see that it’s not very red or irritated. If you try this out you will be amazing the next day when you put your foundation on how smooth your skin looks. I hope you enjoyed my secret beauty tip!